The NJSO mourns the loss of one of its own. 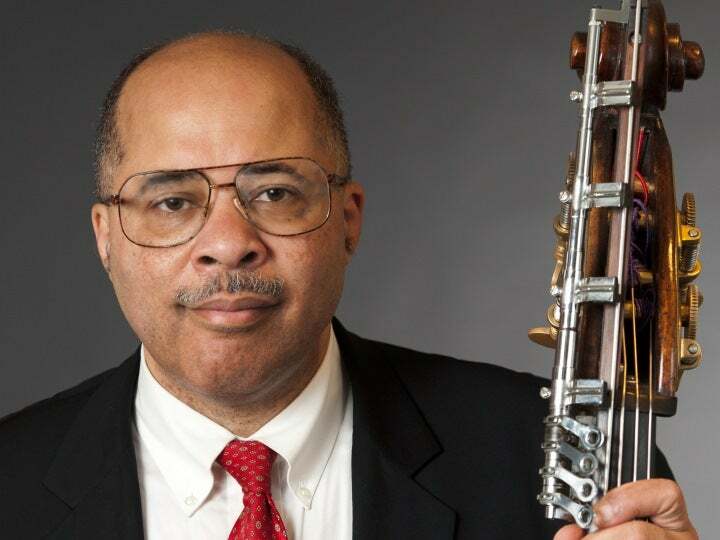 The Star-Ledger has praised NJSO Principal Bassist PAUL HARRIS as “a joy to hear and behold.” Harris has been Principal Bassist of the NJSO for 22 years. His professional performing career includes solo appearances with the NJSO, Stamford Chamber Orchestra and Bachanalia Chamber Orchestra; performances and international tours with the New York Philharmonic under Bernstein, Boulez and Mehta and solo and chamber collaborations with such notables as Erick Friedman, Arnold Steinhardt and a bevy of international competition medalists. His performance of Giovanni Bottesini’s Grand Duo Concertante for Violin and Contrabass with Friedman received rousing acclaim at the International F.A.M.E. Festival in Princeton. In the popular genre, Harris has recorded for Paramount and Universal Pictures, recorded with Frank Sinatra, Tony Bennett and Michael Jackson and toured the United States with Luther Vandross. As an artistic mentor, Harris has served on the faculties of international festivals, was professor at Rutgers University’s Mason Gross School of the Arts for many years and has lectured for the Graduate Orchestral Studies Forum at the Manhattan School of Music. He has a strong reputation as an instrumental auditions coach, having assisted high-level musicians on various instruments in acquiring front-stand positions in orchestras in the United States and abroad. Harris’ life in music began at home in Dayton, Ohio, hearing his mother, Wanda Parsons Harris, performing as a pianist with the Dayton Philharmonic Orchestra and on local concert series. His father, Paul Harris Jr., was also very musical. 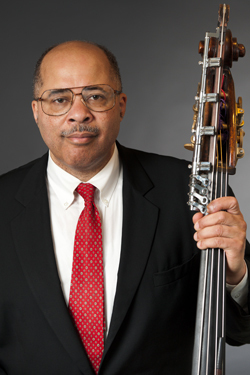 Harris’ studies in bass began with Irene Niehous at the Dayton Philharmonic Orchestra. He was soon a scholarship pupil of former Cincinnati Symphony principal Barry Green at the University of Cincinnati College Conservatory of Music, and he became a full scholarship pupil of David Perlman, former Cleveland Orchestra principal, at the Cleveland Institute of Music, from which he received the Alumni Achievement Award for Professional Excellence. Harris performs on a rare 1649 Amati Contrabass, one of only four in the world by the famed maker. His extramusical interests include bodybuilding, long walks, Shakespeare plays, Wagner operas and the writings of Nietzsche, Wittgenstein and Kant. I became Principal Bass in 1990. I had spent two years after the Cleveland Institute playing with the New York Philharmonic, and while I was freelancing after that, I subbed for an NJSO summer concert. I felt such a connection with [then-Music Director] Thomas Michalak, and he came up to me to tell me the Orchestra was holding bass auditions. I took it as fate. What inspired you to start playing the bass? Music is in my family. My mom is an excellent pianist who played with the Dayton Philharmonic. My father also played piano, and he loved pop music. We would go to symphony concerts all the time. I started playing cello in fourth grade, and I worked dutifully at it. I loved all orchestral instruments, but as long as someone else was playing them! Then, one day, I was in a music shop and saw a bass in the corner—I was fascinated by the depth and sound of the instrument. The owner showed me how to put the rosin on the bow, and he let me play it. I played the A string, and the way the sound went through my body … I said, “I want this. Now.” I swore to my parents I’d practice, and 10 days later (the longest 10 days of my life!) I took it home. Do you have any favorite NJSO memories? There are concerts that stand out. Pictures at an Exhibition with [former Music Director Thomas] Michalek gave me shivers—there were some truly sublime moments in that performance. For me, every concert is an event, something that we put so much preparation and dedication into. My fascination with playing music is exactly the same as it was when I was 16, so every day, I feel the same thrill I felt when I played that first bass string in that music shop. What do you do when you’re not playing with the NJSO? I’m on the board of directors for Shakespeare NYC. I give an opening lecture on King Lear, and occasionally I host “talk-backs” after plays. I have entire scenes from plays memorized. Through the years, I’ve spent hundreds of hours with his plays as a hobby—I can’t imagine what it’s like to be bored! I’ve also been a weight-training buff; I started training in 1980.